1937 was a year for second chances. The National Council resolved to go back to the District of Columbia and host another jamboree. 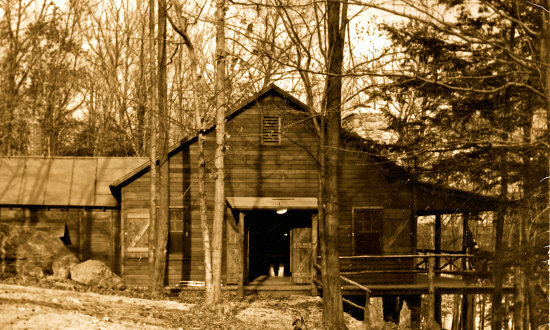 In Connecticut, the local Scouters had been discussing building a new dining hall at Camp Workcoeman since the bumper season of 1928. National canceled the 1935 Jamboree because of a polio outbreak, but the Northern Litchfield County Council just didn’t have any money. During anniversary week in February of 1937, the National Council committed to a three hundred and fifty-acre encampment, and just two weeks prior, the Northern Litchfield County Council declared that the campers of 1937 would greet a brand new building at Workcoeman. The years of economic depression kept the Northern Litchfield County Council from expanding either its programs or facilities. After a few years of saving, the building fund only contained three hundred and fifty dollars. Years had passed since the annual financial campaign met its goal. However, there was a sense of possibility; towards the end of the previous year Gross Domestic Product neared 1929 levels. Unemployment was at its lowest levels in years, even if there were twice as many unemployed as when people first started talking about a new dining hall. In 1937, the council started it annual campaign three months sooner than the previous year, and raised the goal from $5,000 to $6,000. Council Executive Palmer Liddle called in Hillard Holbrook, Deputy Regional Scout Executive, to help plan the campaign. They set up on a passionate ten-day drive in Torrington, with sixteen teams of four to six volunteers circulating throughout the city. Smaller, but just as intense drives in the outlying communities over the following months would complete the campaign. To justify the twenty percent increase, the Scouters made Camp Workcoeman central to their plea. They connected improved facilities to the greater Scouting program, and without these amenities, boys would only be able to use Workcoeman in the summer. As with the previous years, the campaign did not meet its goal, but only just. The Council raised more money than even in the prosperous years of the 1920s. The Torrington campaign brought in enough money to meet all of the regular budget items, thus all of the funds raised in the small town campaigns could go directly to the new dining hall. Yet, the successful drive brought in only six-hundred and fifty dollars to start the build. That did not go very far towards the $4,500 structure that Architect Carl Johnson was designing. To save money, the twenty-eight by forty-eight foot structure would abut the old dining hall, which would be transformed into a kitchen. Taking advantage of the geology, the plans called for a foundation of fieldstone piers. Even with the financial constraints, the structure was not completely utilitarian; an open veranda would run the entire length of the east side of the building and overlook the lake. Connecticut Light and Power would run electrical lines along the old wood road and up to the old dining hall, with the help of the summer residents. However, the highlight of the structure would be a massive fieldstone fireplace in the east wall, the same five hundred dollar fireplace that Jennie Coe and the Scout Mothers' Auxiliary had raised the funds for back in 1930. Construction started at the end of June, just as the Jamboree Troop was conducting its shakedown at Workcoeman. Not far from the excavation site, the Scouts and Scouters practiced their own construction, a bridge for their campsite gateway on Columbia Island. On the second to last day of the Jamboree, the Northern Litchfield County council was $2,500 short of the total cost. The economic recovery that seemed apparent when the Scouters started the drive was now uncertain. It turned out that the unemployment low in November of 1936 was not a trend towards growth, but an acme, before the economy slipped back into recession. Even without all the funds on hand, the Torrington Building Company finished the structure as planned, and in time for the opening of camp on the nineteenth of July. Even by the time the building was dedicated on Tuesday of week three, it was not yet paid for. Still, that did not seem to matter too much. The hall was quite impressive, with its substantial fireplace, polished maple floor, and most of all, its capacity. During weeks two and three of 1937, about sixty Scouts attended; however, the new dining hall could hold more than double that number. The Scouters of the Northern Litchfield County Council were thinking long term; they would pay the costs in a few years, depression or prosperity. They were confident in Workcoeman’s future, and hopeful for future of Scouting in Connecticut. The image below shows the South side of the new building, in the fall of 1937 or the spring of 1938.